MAY 2008 -- Is it May already? Are those needlework and craft entries finished yet? Better get busy. “Lets Celebrate Day” will be here before we know it. We had some very nice entries last year and I hope we have even more this year. Please note that the date and hours for “Lets Celebrate Day” at Good Will Grange Hall will be a bit different this year. It will be on July 26th and judging for the Needlework, Crafts and Baking Contests will begin at 11:00 a.m. Entries should be at the hall between 9 and 10a.m. 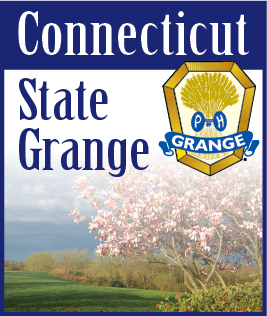 For those who will be with us around the noon hour, Joan Perry, our State Junior Director, will be serving lunch as a fundraiser for the Junior Grange. The program will begin at 2p.m. and we are very pleased to announce that the Bristol Old Time Fiddlers will be there to entertain us. I’m sure that most of you have seen and heard them at sometime or other and know what a great program they always put on. After the program the contest winners will be announced. Then we’ll go downstairs for the raffle drawing and a social hour with cookies and punch. So that everyone might get to see the contest entries and winners, the items will remain on display until after refreshments. I hope many of you will come and help us celebrate. I’m sure you’ll have a good time.